WordPress 5.0 is on us. 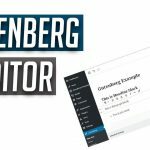 On 27 November a complete overhaul will change how users and developers enable their in-house CMS to engage with the entirely new Gutenberg editor. Here’s our handy guide to how this may affect your website. Famously, it’s a printing press that created the first ‘mass produced’ bibles. 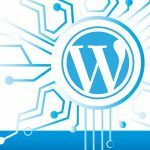 That might not sound like something you needed to know, but it helps end users to understand what WordPress developers have been aiming at with this huge update. In essence, Gutenberg is a move towards highlighting the value of WordPress as a content management system that competes with the best in website building and management. The user interface (UI) is block based, allowing people to drop ‘blocks’ into their pages that result in apparently bespoke content without actually needing to invest in uniquely developed elements – just like the Gutenberg bibles, which were built of whole pages of text ‘dropped’ into the printing press. On the other hand, with Gutenberg being the default editor on all new WordPress 5.0 installations, many users are starting to panic about how their team will cope with an entirely new interface. Many reviewers are suggesting that it’s best to get started with Gutenberg and WordPress 5.0 asap, as the old classic editor plugin will only be supported until December 2021. That might sound like forever today, but in business terms, up-skilling staff and learning to work with a new interface is something that you want to be doing with good support around you. The best time to learn is when other people are on the same learning curve so the kinds of questions you’re asking will be current in the vocabulary and practice of the customer support teams you’ll be speaking to. Along with the fresh Gutenberg editor, there’s a new theme, called Twenty Nineteen which will be the default on all new installations and an optional retrofit on existing WordPress installs. It’s clean and minimalist and early adopters seem to like the way it looks and operates. Some beta testers are saying that they are getting slower performance on Gutenberg compared to the classic editor interface. It’s difficult to ascertain if this is true, because so much of the response is anecdotal and could just be related to learning curve issues rather than actual slower performance. In addition, updates to Gutenberg are rapid and will be changing the user response, so a glitch or issue three weeks ago might already be solved today. A bigger concern is that developers and agencies are worried that existing business websites may be ‘trashed’ by Gutenberg if it is imposed on everybody as a central, and unavoidable, part of WordPress. Sites with heavily customised content may indeed have hurdles to jump through to be able to work easily with Gutenberg. Test everything – this new release impacts every part of your site, from themes to WordPress plugins. Rewrite, or commission a revision, of any themes and plugins that don’t work with Gutenburg. Decide when you’re jumping into Gutenberg and allow time for your in-house team to adjust. Learn to think in ‘blocks’ and explore the several high quality open source toolkits designed to help you.